2 January at 6pm: in the lecture Nataša Petrešin-Bachelez will talk about the notions of situated artistic research and reflexive residency programmes through her experience of co-directing the space for artistic research Les Laboratoires d’Aubervilliers in north of Paris. 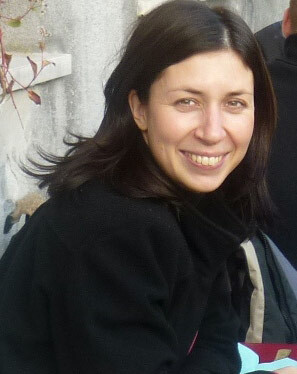 Nataša Petrešin-Bachelez is an art critic and independent curator based in Paris, France. From 2010 to 2012 she was appointed co-director of the Laboratoires d’Aubervilliers. Since 2006 she has co-organized the seminar Something You Should Know, EHESS, Paris, France, together with Patricia Falguieres, Elisabeth Lebovici and Hans Ulrich Obrist. In 2010 she was associate curator of the exhibition The Promises of the Past, at the Centre Pompidou, Paris, and guest curator of the Paris Photo art fair. Curatorial projects include Yona Friedman. Around ville spatial, Mala galerija, Ljubljana (2010); Conspire, festival transme- diale.08, Haus der Kulturen der Welt, Berlin, Germany (2008); Distorted Fabric, De Appel, Amsterdam, The Netherlands (2007); Participation: Nuisance or Necessity?, lASPIS, Stockholm, Sweden (2005); Our House is a House that Moves, Galerija Škuc, Ljubljana, Living Art Museum, Reykjavik, Iceland (20036). She was co-curator of the project Société Anonyme, Le Plateau and Kadist Art Foundation, Paris (20078). She has contributed to magazines including e-flux journal, Springerin, Parkett, Bidoun, and Sarai Reader, and is a member of the editorial board of ARTMargins. Since 2011 Petresin-Bachelez has been chief editor of the Manifesta Journal. In 2013 she curating U3 – Triennial of contemporary art in Slovenia, which will take place at the Museum of Contemporary Art in Ljubljana. Both events will take place in Mediatheque (Meno avilys, Mokytoju namai, Vilniaus g. 39/6, 2nd floor). Events are open to public.